Nathan is a native of Zebulon, NC and attended Wake Forest University where he earned a BA in Philosphy and an MA in Religion. He also holds a Master of Divinity from Southeastern Seminary. Nathan has been in ministry as a pastor since January of 1992 - first serving at Unity Baptist Church of Winston-Salem (1992-2002) and now at Peace Haven Baptist Church of Winston-Salem (2002 - present). "I believe the New Testament presents the local church as the primary public witness to the will and work of Jesus Christ and and that the local church lives as the principal community through which Jesus Christ continues to make disciples. Making disciples - followers of Jesus Christ - people who share the passion and priorities of Jesus Christ for the Kingdom of God - is the primary mission of the church. Christian commitment is personal but not private. You are welcome at Peace Haven Baptist Church and I encourage you to come and see!" Ray Benfield served as the first pastor of Peace Haven Baptist Church from 1957 until 1969. Ray and his wife, Evelyn, returned as members here in 2007. We are thankful for their place in the heart and life of our congregation. Faria is from Charlotte and a graduate of both Central Piedmont Community College (Associates degree, Business Administration) and Belmont Abbey College (BA, Business Management). She is in her final year at Wake Forest School of Divinity. Faira has been approved for ordination by her ordination council. An ordination service will be held at Peace Haven Baptist Church on April 7th at 4pm. Rev. Sheryl Wells was ordained in the Gospel Ministry by Peace Haven Baptist Church. A certified Spiritual Director and Reiki Master, Sheryl earned her Master of Nursing at Emory University and the Master of Divinity at Wake Forest University. She is the director of The Salem Center for Spirituality in Winston Salem, NC, and her ministry focuses on prayer and spiritual formation. Rev. Jon Hamby was ordained in 2008 by New Life Baptist Church. Since then Jon has been Associate Pastor of New Life Baptist Church and Pastor of Metropolitan Community Church of Winston Salem. He came to Peace Haven in February of 2018 and has been involved in Sunday School, choir and other ministries. Jon became Pastoral Assistant of Outreach in March 2019 to assist the church in outreach and evangelism. He is currently employed as the Community Outreach Coordinator for Members Credit Union and is a full time college student working towards a Marketing degree at Regent University. LeAnn was born in Allentown, PA and was raised in Pompano Beach, FL. She landed in Winston-Salem in August 1973 when she enrolled as a student at Salem College. She began her journey as a musician at a young age when she started playing the organ at age eight and performed at her first wedding at age 12! LeAnn earned a Bachelor of Music from Salem College with a major in Music Education with concentration in piano. LeAnn has had a long career at Wake Forest University. First employed in 1977, LeAnn has held positions in several departments and has been the Registrar of the Wake Forest University School of Law since 1987. Professional affiliations include: National Network of Law School Officers (NNLSO), member since 1988; American Association of Collegiate Registrar’s and Admissions Officers (AACRAO), member since 1988. 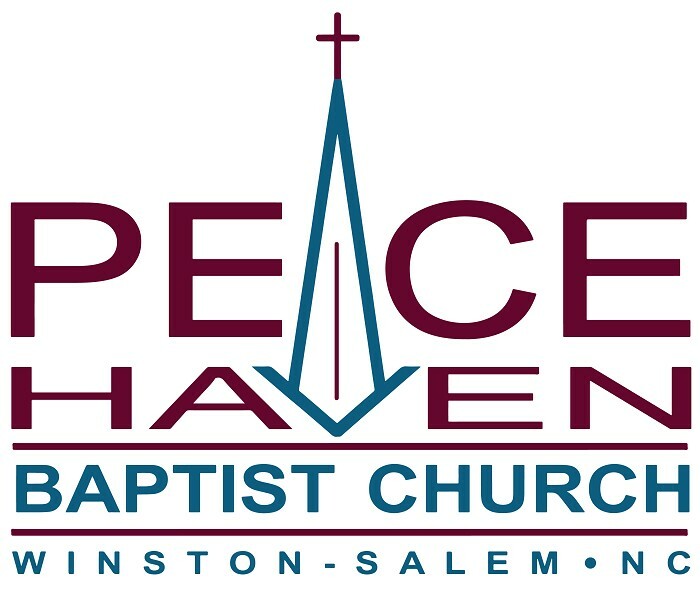 LeAnn has been Peace Haven's Choir Master since June 1997 which includes directing the adult choir and sharing her talent as Peace Haven's organist. She held several other roles prior to her current position and will celebrate 25 years of service at Peace Haven this year. LeAnn is the widow of Tom Steele who taught Peace Haven's "Seekers" Sunday School Class. She has four sons, Rob, Ryan, Chris and Justin, and a daughter-in-law, Juli. She also shares her home with her three dogs, Deac, Scooter, and Bella! Jim was born in Wytheville, Virginia, where he currently lives. Peace Haven is grateful for his dedication to travel such a distance to share his talents with us. Jim is a gifted pianist that has been perfecting his talent for many years. Beginning at age 9, Jim has been employed at several churches within their music departments. He earned a BA in piano performance from Emory and Henry College, has a MMus from Converse College, another BA in Spanish from Emory and Henry College, and has further studied German/education at UNC Chapel Hill. Jim has been the pianist at Peace Haven for approximately four years. Jim is always willing and ready to work with our adult choir on parts and does a fantastic job accompanying any special music during the worship services.